Unlike with most of their events, the UFC didn’t offer up a live stream of their post-fight press conference for “UFC on FX: Guillard vs. Miller.” However, just because it wasn’t shown doesn’t mean it didn’t happen, and we’ve got the footage to prove it. The card’s featured fighters that didn’t require medical attention were at the podium. 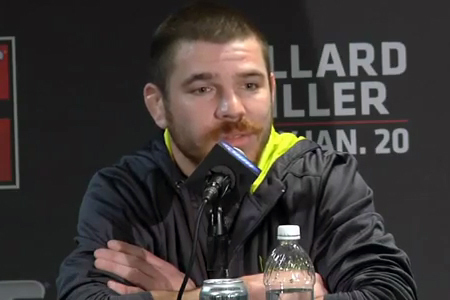 Jim Miller (Pictured) submitted Melvin Guillard via rear-naked choke in the card’s main attraction. The show marked FX’s first major mixed martial arts broadcast. The Octagon’s return to Tennessee took place Friday inside inside Bridgestone Arena in Nashville.